Thanks for spending your Saturday night with us - we hope you've enjoyed following our Match of the Day Social along with the TV show. If you missed any of the action tonight, Match of the Day is on at 07:05 BST tomorrow morning. I'll be asleep but you can always follow this live text again along with it if you wish! Tomorrow it's Sunderland v Tottenham and Leicester v Aston Villa. Southampton boss Ronald Koeman: “I’m a little bit disappointed because we were the better team. We had a lot of ball possession but we didn’t create a lot of chances, maybe the best one was in the first half with Jay Rodriguez. BBC Sport's Alistair Magowan picked out Southampton's Dusan Tadic as his man of the match in his report. The Serb delivered the most number of crosses at The Hawthorns today, 14, with the next highest only five - James Ward-Prowse and Craig Gardner. Daniel Bateman : Virgil van dijk was the man of the match! In a quiet first half, Callum McManaman's "dive" for a penalty caused some debate. The West Brom winger touched the ball, Southampton's Matt Targett lunged in but McManaman then threw himself over the challenge and had his penalty appeals waved away by referee Stuart Attwell. West Brom boss Tony Pulis: "I think Callum McManaman dives first before the player touches him. I'll be having a word with him about that. It was a good decision by the referee." Quote Message: It was a terrible tackle by Behrami. It could have been two red cards. It was a terrible tackle by Behrami. It could have been two red cards. Quote Message: Watford have a lot of pace and endeavour. Watford have a lot of pace and endeavour. Swansea dominated possession but Watford were a much greater threat going forward, having only twice as many shots. "It was a really big experience to win first match in Premier League. It was a really tough match as Swansea is a good team. "In the first half we played well and had control. It got complicated after the sending off. "In the second half, when we had to defend a lot, I don't like to play like this. I'm really pleased and would like to dedicate this win to the fans." "We got what we deserved. We just didn't perform. We couldn't get into it when the sending off came. We are very disappointed. "We had a lack of focus on the things we do well. Ultimately, disappointed but our job to come back and put those things right. "We have no excuses. We were quite sluggish. I have no complaints with the result." Jason Mcneill: Watford FC take a bow to beat a team who are just off the back of beating Man United also having 10 men for 33 mins of the game is a fantastic result well done Watford. ManUnited fan btw . Nathan Moulding: Sunderland stoke and west brom going down. BBC Sport's Saj Chowdhury picked Odion Ighalo as his man of the match in his match report after a brilliant display in attack. Do you agree? Get involved via #MOTD or post on the Match of the Day Facebook page. Odion Ighalo slams home for Watford - he's on my fantasy football bench, while Sergio Aguero was captain today. Woe. You can click on the feed above and watch any of the action you have missed Harry. Looks like Alan Shearer agrees with Emlyn... Over to Watford now. Quote Message: Hoolahan was at the heart of everything Norwich did well. He has been involved in four of Norwich's five goals. Hoolahan was at the heart of everything Norwich did well. He has been involved in four of Norwich's five goals. Norwich and Bournemouth both played sole strikers - but the Canaries offered a lot more support to Cameron Jerome than Callum Wilson got for the Cherries. BBC Sport's Emlyn Begley picked Wes Hoolahan as his man of the match in his match report after an impressive assist and goal in a busy afternoon. "Wes is an influential player for us, he has that creativity that can decide games. He was dangerous throughout the pitch but as a team we worked really hard and deserved the plaudits," Canaries boss Alex Neil told BBC Match of the Day. Do you agree? Get involved via #MOTD, or post on the Match of the Day Facebook page. Jimmy Smith: Come on guys, give some credit to Norwich for once, we were excellent today. Hoolahan might as well call himself David Silva on this evidence, what a start to the season he's had! Leroy Mauris: Bournemouth and their naive, yet very sympathetic approach to the game. If they continue like this they"ll be relegated by February. Bournemouth manager Eddie Howe told BBC Sport: "The biggest disappointment was the goals we gave away. At this level if you defend like we did for the three goals you have to be disappointed. "I thought we were still well in the game at half-time, but in the second half we conceded possession really cheaply. That's usually our strength so there's a lot for us to reflect on. "Maybe there was a bit of a lack of confidence after going behind, but we ended up chasing the game and making some bad decisions. That cost us." Norwich manager Alex Neil told BBC Match of the Day: "I thought we were the dominant team throughout, we scored three good goals and deserved the win. "We had our game plan and the players carried that out perfectly. All credit goes to them. They were fantastic today. "Matt Jarvis had that dimension we needed, he can beat players and he did fantastically for his goal, I'm really pleased for him. Hopefully we can continue to play as well as we did today." It's like someone has coloured both kits in with highlighters. Francis Coquelin was arguably Arsenal's man of the match. He completed 59 successful passes (represented by the square boxes above) and made more tackles (5) than any other player, one of those leading to the Gunners' opening goal. He also had a pass accuracy of 88.1%. Quote Message: The Arsenal strikers are not taking as many chances as they are creating but Theo has the pace and ability to do it. He has to score there though with that header, I am scoring that. He could have got a hat-trick. The Arsenal strikers are not taking as many chances as they are creating but Theo has the pace and ability to do it. He has to score there though with that header, I am scoring that. He could have got a hat-trick. You never were lacking of confidence were you Wrighty? Theo Walcott had eight shots in total, five of those on target, although missed a couple of good chances to add to his one goal. Email surely these days Lee? Stoke manager Mark Hughes: "We wanted to make it difficult for Arsenal and get good numbers of bodies around the ball and try to condense play because we know they are very good in wide areas where they look to overload you and look for one-twos around your box. "Unfortunately our defensive play was a bit too passive in terms of getting out to affect what Arsenal were trying to do, especially in the first half." Arsenal boss Arsene Wenger: "In the first half our movement was outstanding and we created a lot. In the second half our pace dropped maybe a little bit in our passing, but we continuously created chances and overall it was a strong performance. "My only regret is that there is too big a difference between the number of chances we made and the number of goals we scored but that will come." BBC Sport's Gary Rose picked Jack Butland as his man of the match in his match report after making 10 saves to prevent Arsenal winning by a bigger margin. Do you agree? Get involved via #MOTD or post on the Match of the Day Facebook page. Matthew Linning: I thought stoke would be a decent side this season, made some good signings, obviously i was wrong. Geoff O'Connor: I did worry about Stoke struggling this season. I thought Hughes signed too many players and it brought back memories of that ill fated season he had at QPR where he signed practically a whole team during the transfer window. I hope we will click as we do have good players but I am concerned. Samuel Williamson: Honestly, i think its down to two key players. Shawcross Leader of men in defence - InjuredN'Zonzi who IMO was one of the best holding midfielders in the prem - Sold..
Former England midfielder Jermaine Jenas on Final Score: "It was a good finish from Theo Walcott for the goal but I still have doubts about him playing as a striker. "He missed two big opportunities before that. For one of them, from six yards out he couldn't get his feet right and smashed the ball over the bar. In graphical form, Arsenal's goal does not look like much - anyone can play a long ball forward, right? In reality, it was a thing of beauty. Mesut Ozil played the precision pass, Theo Walcott supplied the simple finish. Quote Message: Scott Dann is beaten all ends up and that is a terrible challenge. I remember your challenge on Neil Lennon, Alan. Scott Dann is beaten all ends up and that is a terrible challenge. I remember your challenge on Neil Lennon, Alan. There were plenty of fouls committed by both teams, with the graphic below showing Palace's free-kicks given away (white) and Manchester City's (black). Manchester City boss Manuel Pellegrini tells BBC Match of the Day presenter Gary Lineker that Sergio Aguero could be fit for Tuesday's Champions League game against Juventus. Manchester City boss Manuel Pellegrini on Kelechi Iheanacho: "He's just 18 and started working with our squad last season, but he was unlucky and had a big injury in the last three months of the season. "This year he started pre-season with the squad and will be a very important player for the future. He's one of the reasons I didn't bring another striker in when we sold Edin Dzeko. Crystal Palace manager Alan Pardew: "Even though we beat Manchester City last season this was a better performance. "It's a shame about the injury to Aguero because we are not a malicious team. We both knew this was going to be a tough game and it was." Stuart Carter: Glad Kelechi is finally getting the exposure he's had coming... exceptional talent. Callum Pattison : So this kid is gonna get hyped up for the whole week just like Reece Oxford then? Rob Fish: He's mint on football manager! BBC Sport's Andy Cryer picked Manchester City's Kelechi Iheanacho as his man of the match in his match report. Do you agree? 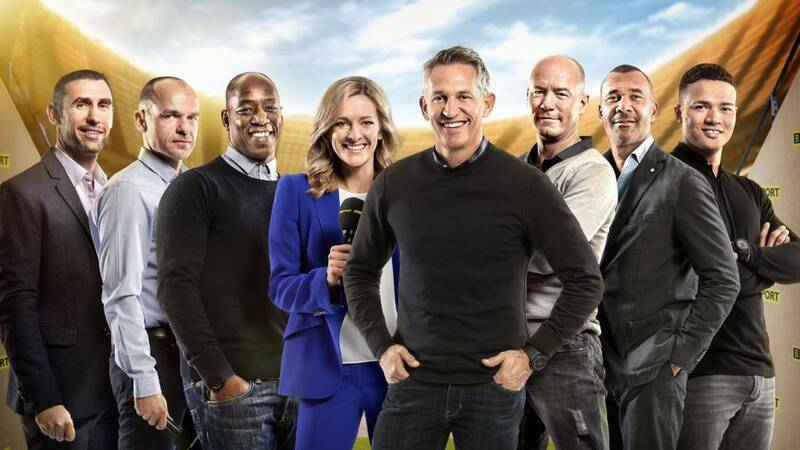 Get involved via #MOTD or post on the Match of the Day Facebook page. Kelechi Iheanacho did not complete a successful pass or make a crucial interception but his one-minute cameo on the pitch saw him provide the most important contribution of all - scoring after Samir Nasri's shot was initially kept out. Watch Aguero limping out of Selhurst Park on the BBC Radio Manchester Blue Tuesday Facebook page. Quote Message: I thought Liverpool were dull, they didn't have a go. I thought Liverpool were dull, they didn't have a go. Ian Wright doesn't think Christian Benteke is fitting into the Reds' system at the moment despite his stunning goal. "Liverpool aren't getting the best out of him." Kris Loves You: Could watch @AnthonyMartial's goal all day! goosebumps. Lennie: What a debut for Anthony Martial. Man U fans must think he's worth every penny after that goal. Joel Taylor: Martial's goal was so Thierry Henry. As shown by the graphic above, Manchester United were far more of an attacking threat after the break. Quote Message: That first 45 minutes from both teams was about the worst I've ever seen. That first 45 minutes from both teams was about the worst I've ever seen. Charley Pickthall: What a goal Benteke. Age Lancelot: Benteke technique was too sweet! Liverpool boss Brendan Rodgers: "I thought in the first half we defended well but had nowhere near enough quality and composure on the ball. "We were disappointed with a couple of the goals. I never thought the free kick was a free kick. Penalty, I think Herrera has done well, young Joe Gomez will learn he has to stay on his feet." Manchester United boss Louis van Gaal on Anthony Martial: "He made a very good impression in the first three days, that's why I selected him on the bench. "When you make a goal like Anthony you cannot wish for more, I think. "A lot of players have made a debut and scored with me so it's a good signal. "We scouted him and we wanted him because he's the best in his age, but he needs time and three days is too short to judge his personality." Kaza Thayantham on Facebook: Took Martial 20 minutes to equal Balotelli's goal tally from last season in the league. Liam Beer: As much as I hate to say it, fair play to United. We were awful today. Lacked passion, didn't seem to want it. Our tactics were all wrong. Rodgers needs to sort it out, as it's not going to get any easier and his job will be in jeopardy if it continues this way. The better team won today, Martial looks promising, although that price tag won't be justified for quite some time. Benteke take a bow though. Myles Doran: Great Benteke goal, but he did have about 3 years to do it. Dire first half, but come on United. Martial's a bigger lad than I thought- big enough to hold himself up! Apart from his goal, which was a stunner, Liverpool striker Christian Benteke struggled to be much of an attacking threat - as shown by his heat map below. BBC Sport's Phil McNulty picked out Manchester United defender Daley Blind as his man of the match in his report. The Dutchman, who opened the scoring, made four tackles and nine clearances for United. What are your thoughts? Get involved via #MOTD or post on the Match of the Day Facebook page. Quote Message: He knew the country's eyes were on him and he doesn't disappoint. He knew the country's eyes were on him and he doesn't disappoint. As did new Toffees winger Aaron Lennon, who made his first appearance since joining the club from Tottenham on a permanent basis following his loan spell last season. Everton striker Arouna Kone and midfielder Ross Barkley both enjoyed their win over Chelsea. Chelsea allowed a lot of space behind their back four - while Everton's centre-backs stayed closer to home - as evidenced by our average position map. Dean Hugsy Dowson: Well done super sub Steven Naismith. Absolutely mullered our pathetic defence yet again today. Fully deserved the match ball win and three points. From an unhappy Chelsea fan. Karl Beake: Naismith's kick out at Ivanovic could easily have seen him sent off before he scored any of the goals but Everton were far superior and deserved the result. Steve Herron: Fair play to Everton. They dominated in every area and their performance was flawless. As a Chelsea fan it was a very uncomfortable match to watch, disorganised and clumsy at best. No passion in the team. Chelsea manager Jose Mourinho: "I am not feeling pressure. The results are the worst in my career. They are not adapted to my quality, my status, but I am coping well with the situation. "I am the man for the job. I don't think there is better man who could come and do my job." Chelsea manager Jose Mourinho: "It is better not to look at the table. For me it is the first time I look and see my team in that position. I don't look at the table, I look to players, the training session we have and the matches. "Our next match in the Premier League is against Arsenal and we are candidates to win." Kyle Utterson : Thought Everton were sensational today and dominated throughout Naismith was brilliant and must be a nuisance to play. Chris Saunders : Something tells me Naismith will be starting next week #MOTD. Oliver McBride: Would Everton have won is Besic hadn't (unfortunately) got injured? Always an interesting situation. Everton boss Roberto Martinez: "A performance like that gives you a feeling of pride. An incredible team performance. "Steve Naismith is a really important player for us, not just today but over the last two seasons he has been growing week by week. He showed everyone that he is ready for his moment and he did it in real style." There was only one candidate as far as BBC Sport's Mandeep Sanghera was concerned. He went for Everton's hat-trick hero in his match report - do you agree? Get involved via #MOTD, or post on the Match of the Day Facebook page. Chelsea may have had 61.3% possession against Everton but the Toffees had nine shots on target compared to two from the other Blues. David Hannabuss: People are always happy when a top team is struggling I'm sure Chelsea fans love it when Arsenal, Man City, Man United and Liverpool lose Games. Joseph Bailey: I think Man United are the worst for people wanting to see lose. Welcome to being champions and people hating you. Nemanja Matic (number 21 on the graphic below) scored a superb long-range goal for Chelsea but it was a rare moment of joy for the Blues as they lost at Everton. The show is just starting now on BBC One or on the top of this page (if you're in the UK). Gary Lineker is hosting the show, with fellow former England strikers Ian Wright and Alan Shearer analysing each game. To be honest, we're presuming you know the format by now. Adam Clay: Can't wait for #motd. Dayoooo : Can't wait till #MOTD starts. Ben: It's that time of the week again. Here's your running order for tonight's games. Welcome to our BBC Match of the Day Social page, where you can join in the debate and follow tactical analysis of and reaction to each game while watching the show on BBC One (or this page - starting at 22:50 BST). We're only five games into the Premier League season but today could turn out to be a big day in the title race. Sixteen goals, including some stunners, a red card and - as ever - some talking points. Where else would you rather spend your Saturday night than here with us?